6. 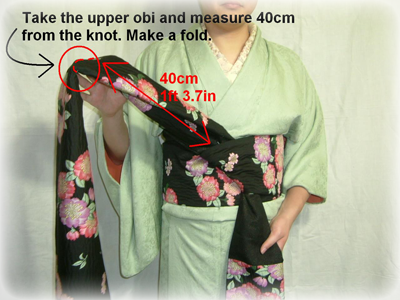 Make the two ends vertically, in order to fix the knot neatly. 7. 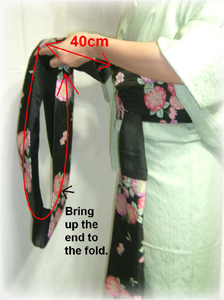 Take the upper end with your right hand and measure about 40cm (1ft3.7in) from the knot. Hold the position with your right hand. 8. 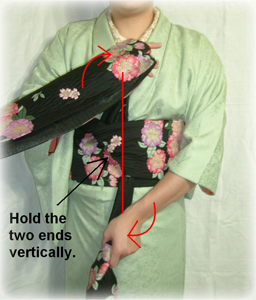 Bring up its end to the position of your right hand. 9. 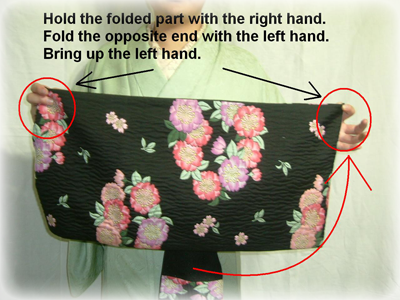 Catch the opposite end of the obi with your left hand and turn it up sideways.